Throughout the years I have searched various media to learn more about firecraft and the various methods used. 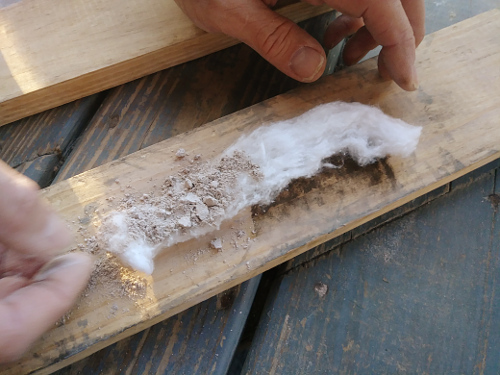 Almost two decades ago I visited an on-line forum and read about a way to make fire by rolling a tube of cotton filled with charcoal between two boards to create an ember coal. I tried it unsuccessfully and put it on my “try later” list. A few years ago I was watching an episode of “Fat guys in the woods” on television that was hosted by Creek Stewart. He showed his students how to make fire using the fire roll method which inspired me to try it again. This time I was successful! A few weeks ago I was viewing some YouTube videos and found that this method has grown in popularity. I wanted to revisit this firecraft method. 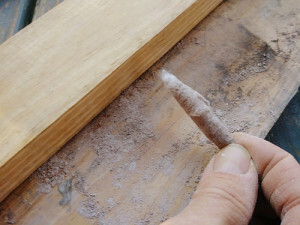 The rolling process has basically remained the same but the materials used to make the tinder roll have varied as seen in several video demonstrations. I decided to try the popular combination of cotton and ashes. I used two 1/2″x4″ boards, one measuring one foot long as the rolling board with the other one being two feet long as the base board. 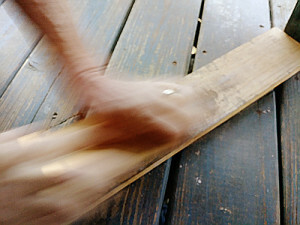 I braced the baseboard end against a deck post. A cotton ball can be unraveled into a strip that measures approximately seven inches long by one inch wide. I sprinkled hickory ashes about half way along the cotton strip and rolled it up as tight as possible. then rapidly rolled it back and forth while applying downward pressure. After about thirty strokes I removed the upper board and examined the tinder roll for a dark/hot spot and when I found it I carefully pulled it apart. 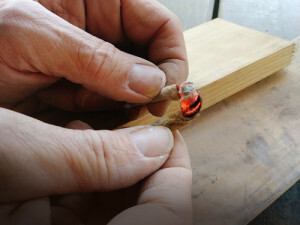 As the exposed spot gets air it begins to form an ember which can be coaxed to a larger size with a steady breath. The ember came so quick I had to do it again. I found that using two hands to press down while rolling the tinder back and forth to be easier and more effective. It is probably the simplest, easiest, and fastest way to make fire by friction. Similar to flint and steel, where you need to have char beforehand to make a fire, it works best to have ash on hand for the tinder roll. However, other material can be used as well. 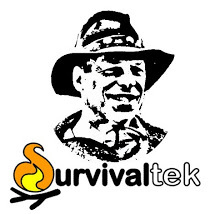 It would be easy to create this kit in an urban setting but could prove to be more difficult in a wilderness situation. I plan to continue exploring this method using different materials for the tinder roll and the rolling surfaces. This entry was tagged Cotton, Fire By Friction, Fire Roll, Firecraft, Tinder. Bookmark the permalink.